Memorial Day weekend, 2012, is a weekend I will not soon forget. Saturday, my family and I went to a close friend’s birthday party. As we all stood outside watching our kids run around the playground the unthinkable happened, my son slipped and fell. The ER: Not where I thought I was going to be on a Saturday night. As his body hit the ground, I heard a very distinctive “crack”. I knew he had broken a bone. Big W screamed and cried for quite sometime. My wife and I didn’t know what to do. We couldn’t tell whether he was just scared from falling or if he was seriously hurt. Thankfully, our God-given parenting abilities kicked in, and we soon found ourselves at the ER. 10 minutes later, we were admitted into a room. Over the next few hours x-rays were taken, TV was watched, and my little boy remained resolute and strong. I am so proud of him! 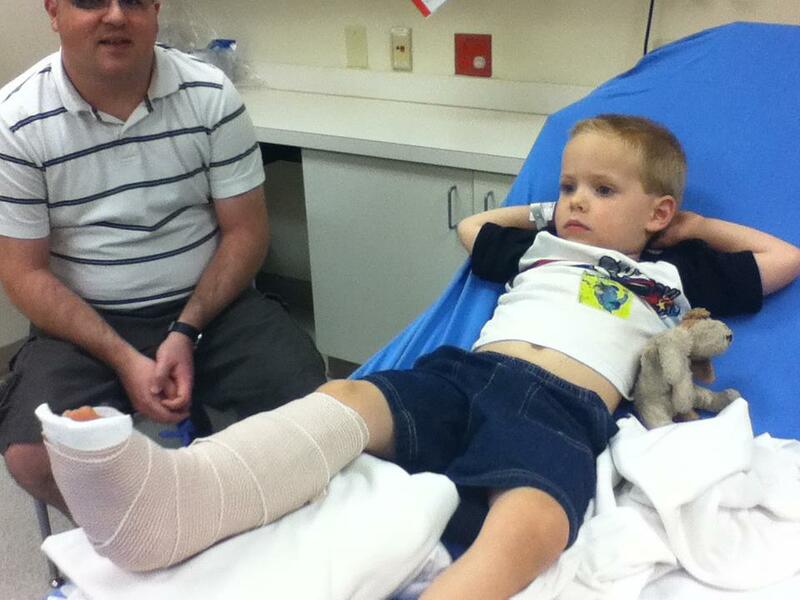 Turns out he fractured his tibia after falling 4-5 feet off of some domed monkey bars. He’ll be in a splint (not a cast) for the next six weeks. Good times and a very memorable Memorial Day weekend. I can’t wait to see the bill!